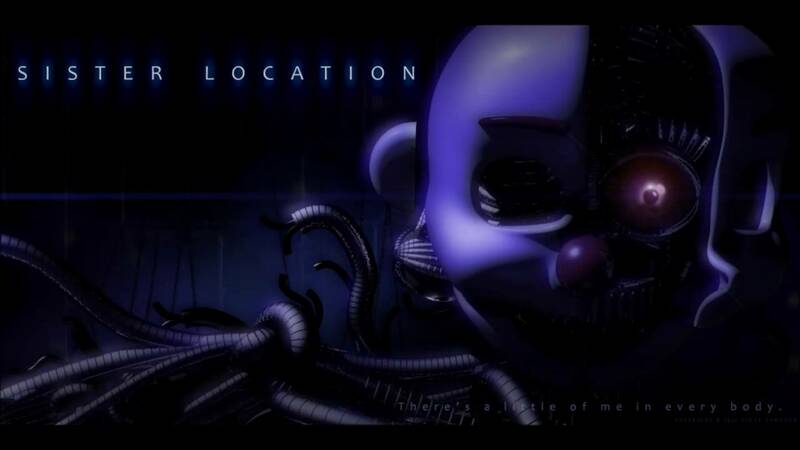 More of Scott Cawthon's Sister Location story details have been revealed. The month of October is quickly approaching and for many of us that translates into long nights of non-stop scary movies and horror games. It’s usually around this time that we can anticipate the continuations to some of our favorite horror titles, one of them being Scott Cawthon’s upcoming installment to the Five Night at Freddy’s series, Sister Location. Cawthon is notorious for dropping hints about his upcoming games. Most of the time, they’re pretty elusive and unless you're well-versed in the FNAF lore, those clues might go right over your head. Some of his more clever fans have even managed to find clues hidden within the source code of Scott’s official website. It’s in this ingenious way that he’s been able to build up excitement for most of his games. Sister Location has been no different. 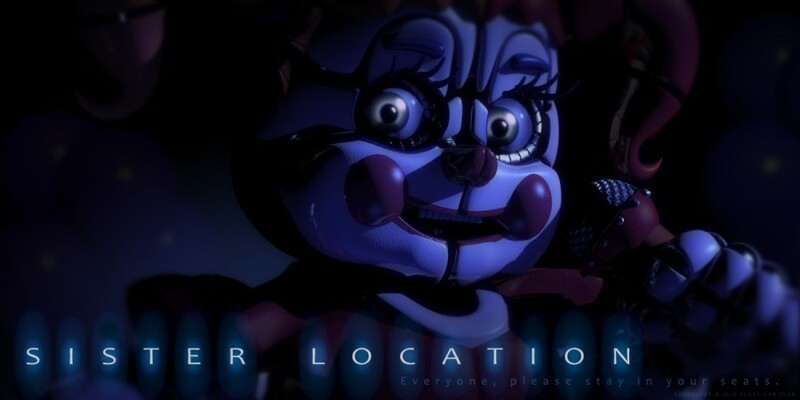 The trailer for the upcoming Five Night’s at Freddy’s title was first revealed in late May of this year and it gave us our first sneak peek of Circus Baby’s Pizza World. This trailer in combination with the hints sprinkled within Scott’s website has given us some insight on what to expect. Some of the more obvious clues that we’ve uncovered include the location of Circus Baby’s Pizza World. Circus Baby’s Pizza World appears to be located underground. 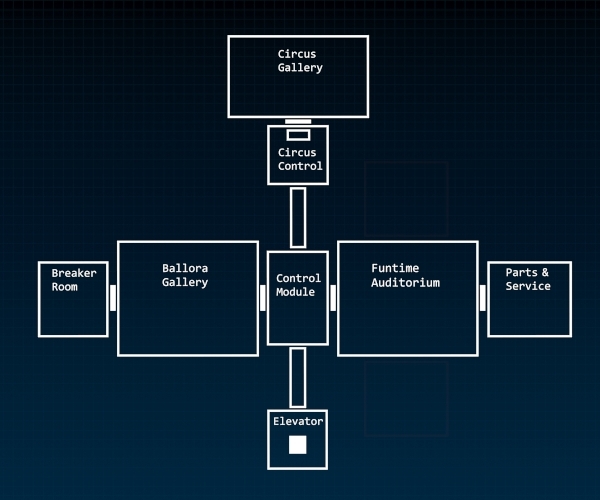 This explains the elevator within the trailer along with this picture found on ScottGames.com that appears to be a blueprint of the game’s setting. Another clue alluded to the presence of another animatronic that was pictured on the website previously. The words, “There’s a little bit in me in every body,” are seen beneath a face we’ve never seen within the FNAF franchise before. Or have we? It wasn’t long before Leak after leak began surfacing on the internet about the Sister Location game. It was then that a new image appeared on ScottGames.com that announced that the game was now cancelled. The reason? Too many leaks. Some fans were sent into an immediate panic while others cited past instances where Scott Cawthon had trolled the internet in a similar fashion. It was just a few days ago that an official release date of October 7th, 2016 finally appeared on Steam and Cawthon’s official website. The question still remains. What does this all mean? To hear more conspiracy theories revolving around Sister Location, be sure to watch the Game Theory video below and let us know what you think in the comments below. What clues have you come across? We here at Indie Obscura can’t wait for the release of Sister Location. Check out Sister Location on Steam. To uncover more mysteries on Indie Obscura make sure you check out these 6 awesome indie games we cannot wait for, read up on the unveiling of Klei Entertainment’s two new indie titles and check out the fascinating animation process behind Studio MDHR's upcoming indie game Cuphead!